The "Campbell Kurtis Alligator Special"
"Here are a few pictures of the Campbell Kurtis "Alligator Special". Photos courtesy of Doug Hooper. 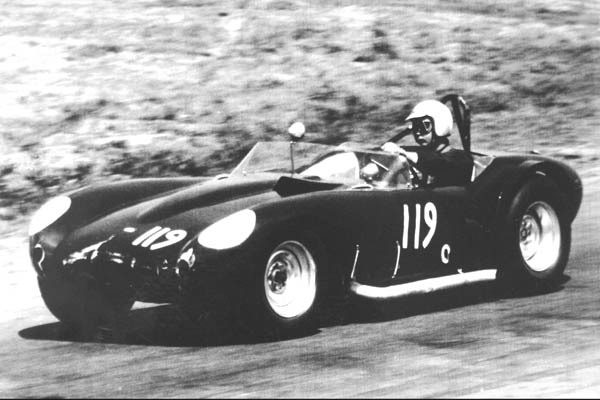 "Santa Barbara May 1964: Doug Hooper driving #119 Campbell Kurtis "Alligator Special". This car was known as the Mistral Kurtis 500x Special that Bob Eagleson and Ed McCarroll built and raced." 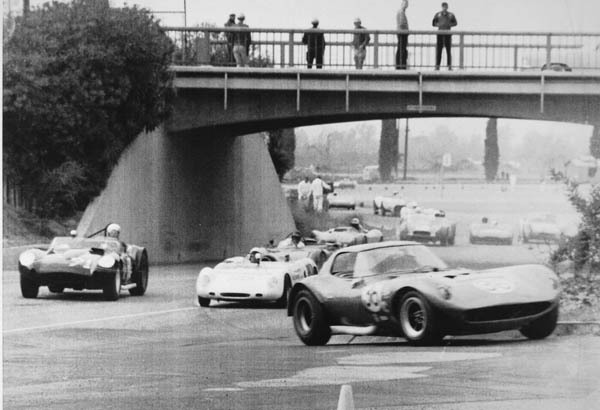 Pomona, March 1965: #91 Campbell Kurtis "Alligator Special", #36 Jerry Titus Cheetah, # 16 George Follmer in his Lotus Mk.23-Porsche. "Pomona, March 1965: #91 Campbell Kurtis "Alligator Special" rear view. The car campaigned with a '62 Fuel injected Corvette engine." "Riverside. 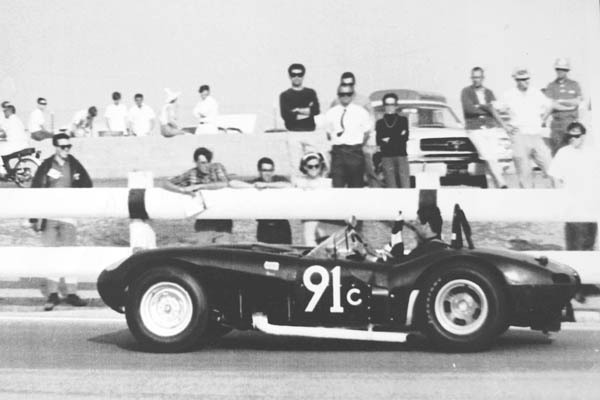 April 1965: Doug Hooper on victory lap in #91 Campbell Kurtis "Alligator Special". 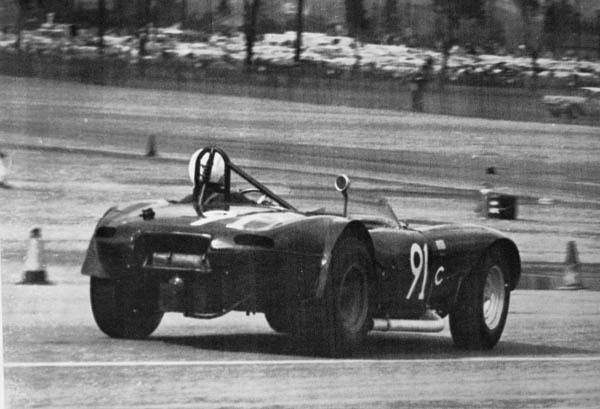 Doug Hooper drove the Alligator to win the 1965 Pacific Coast SCCA Championship in C Modified." New! (11-29-12) Dave Hood's film of Hooper at Santa Barbara 1965!